Some time ago I discovered that hard plastic mousepads were much but really much better than those crappy clothed ones that you can find for free almost everywhere. So I was a little bit sceptical when I received this X-Trac Pro HS Optical mousepad from Dex Systems, because at first sight it looked a lot like a crappy clothed mousepad. We saw pads that looked like dinner plates and others that remotely resembled fruit roll-ups. Apparently, most of these people seemed unsatisfied with what they were using. That’s when we decided to make a better optical mouse pad. 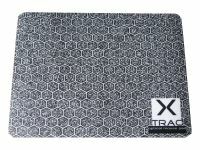 The first pad created we called the X-Trac Standard. It was similar in size to most of the pads we were used to seeing. 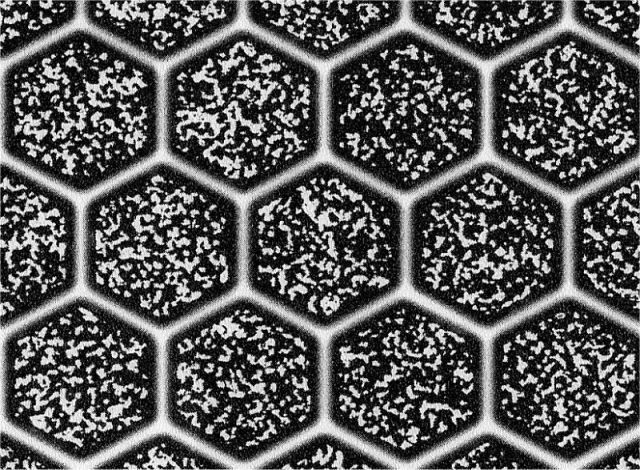 The main differences being the hexagonal print and the finely woven cloth surface. We tried several different designs, but none seemed to make our mice track as well as the hex and random dot configuration seen today. As time passed, people began to ask for a larger mousing surface. That’s when the X-Trac Pro was born. It measures 8.5” X 11” and the gamers that tried this pad thought it was awesome. Actually, we were happy with it too, but we knew we could to go further. 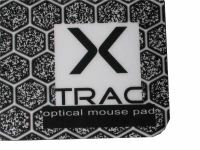 Our most recent pad is the X-Trac Pro HS or hard surface. This pad, we feel, is one of the best optical mouse pads available today. 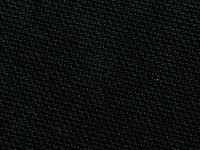 It is approximately 50% smoother than the X-Trac Pro cloth pads and the print has a 1200dpi resolution as compared to 300dpi with the X-Trac Pro and standard. The topside of the X-trac Pro HS Optical mousepad has unique black and white hexagonal textures printed on it with random dots to ensure precise control with your optical mouse. The size of the mousepad is pretty big, it's comparable to most plastic mousepads. It measures are 27.9 cm x 21.7 cm (8.5” X 11”). 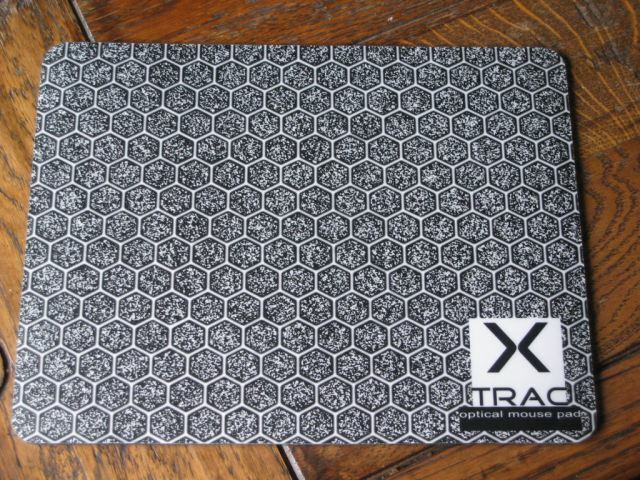 On the right side of the mousepad you can see the Xtrac logo. 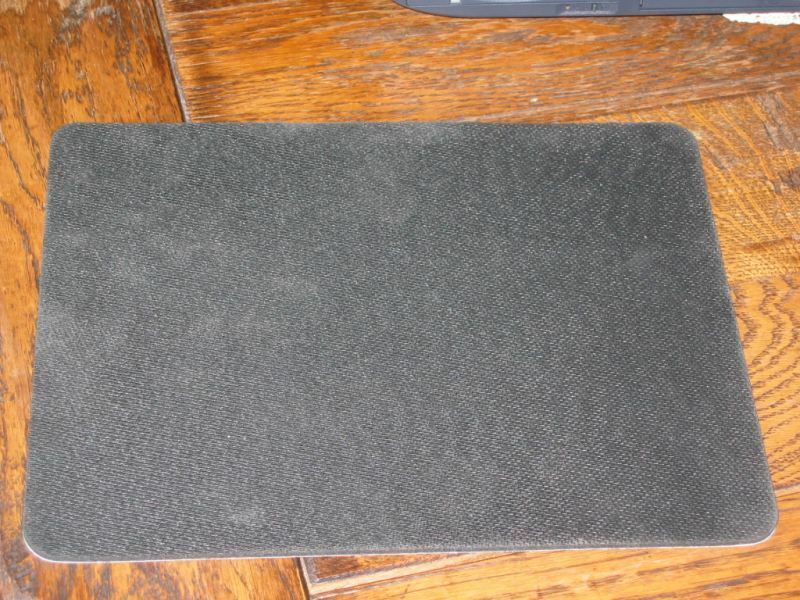 The topside of this mousepad is made out of hard plastic and it has a rubber bottom which is glued to it. The mousepad is only 2.4 mm thick. In contrast to hard plastic mousepads this mousepad is semi flexible, but it works just as smooth as a hard plastic mousepad. 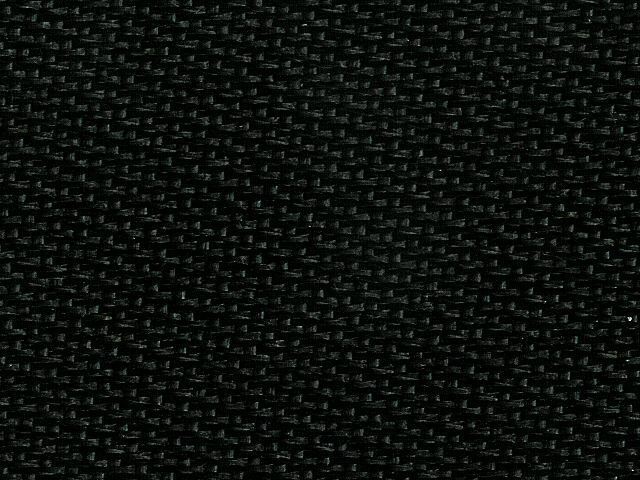 On the first two pictures you have a closer look at the rubber backing. Xtrac calls this system 'Sure Grip', and I must say that under normal mouse usage this pad will not move a single millimeter on your desk. On the thirth picture we compare the thickness of this mousepad with a normal CD box. Here you can see the X-trac mousepad combined with a Logitech MX700 mouse. I used this mouse to test the pad, but could not find any problems. 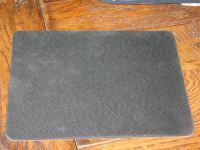 The X-Trac Pro HS mousepad has proven for me that there are alternatives for hard plastic mousepads. 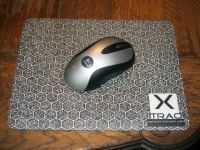 The X-trac Pro HS is a very high quality mousepad which offers a very smooth and precise surface for optical mice. Price is 15.02EUR without shipping over at Dex Systems. If you live in America or somewhere else then check out X-trac for a list of resellers. 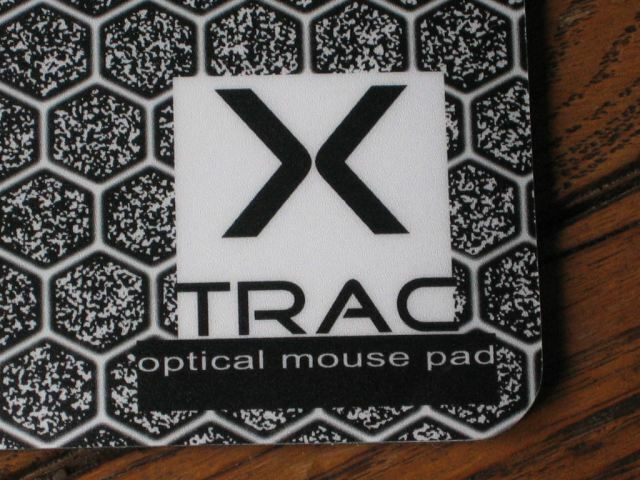 The X-trac Pro HS Optical mousepad received a 9/10 from DV Hardware!